The new Truck on Truck carrier is off loaded from the ship at Durban dock. 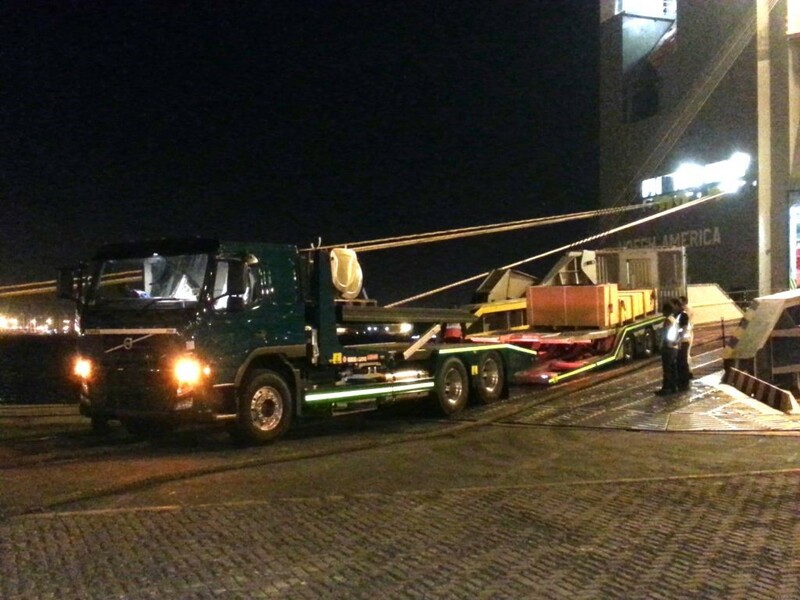 Operations manager Juan Lange was there to record this historical event. 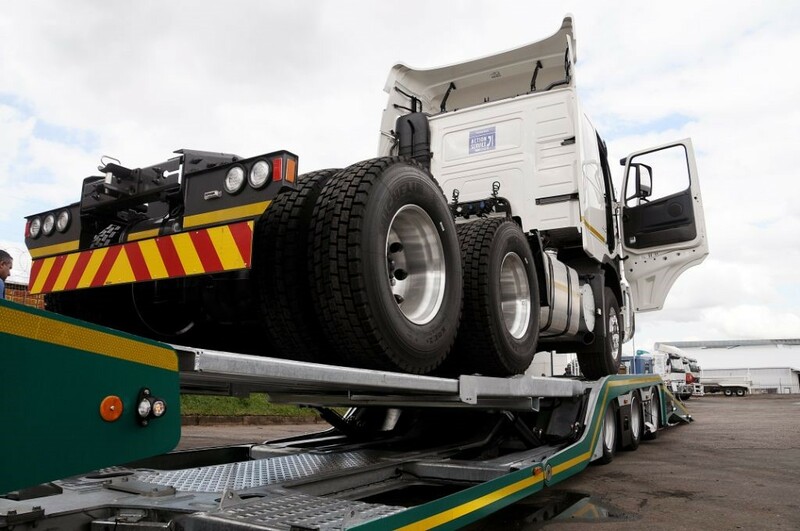 Through the innovative thinking of Durban-based KDG Logistics, South Africa can now boast a World-First with the development of a Truck on Truck trailer concept that can ferry not two – as is done in Europe – but three heavy duty truck tractors on one carrier. 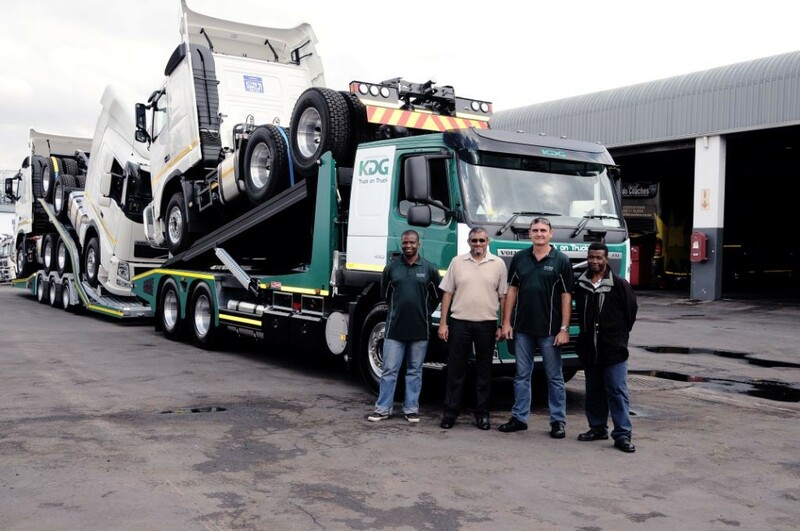 Juan Lange, KDG’s operations manager for the project, worked closely with Lohr Trailers overseas in developing the concept and was standing on the side of Durban dock late at night on April 10th when the first unit arrived in the country. It was the culmination of months of exciting planning and development and Lange was like a kid in a candy store when it finally drove out the ship. 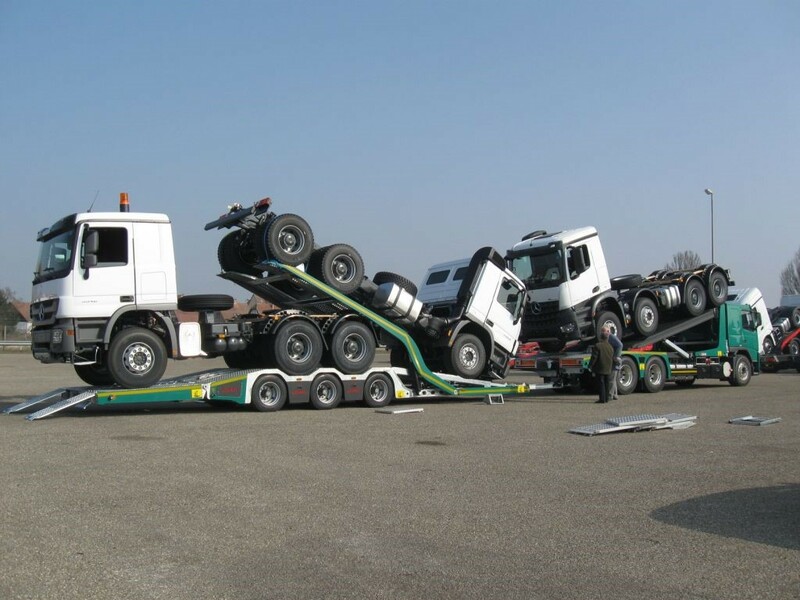 FleetWatch will be featuring a full article on this World First in our next edition but in the meantime, we can report that the first local ‘test-load’ went off smoothly with three Volvo truck tractors being loaded without a hitch. The accompanying photographs show the trailer as being tested overseas as well as the first test load being conducted at Volvo. 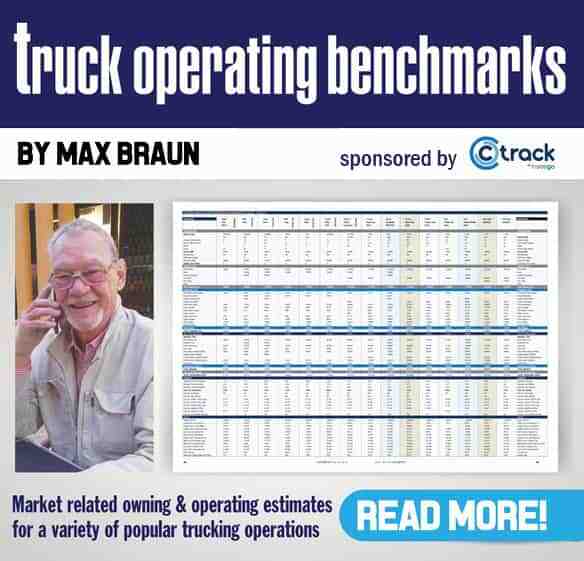 FleetWatch extends a huge congratulations to KDG Logistics on this development. 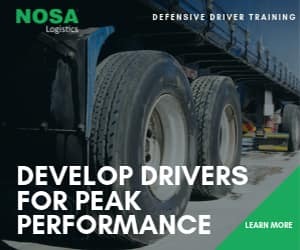 Not only does it give South Africa a top spot on the world stage but also has numerous road safety benefits. Well done guys.